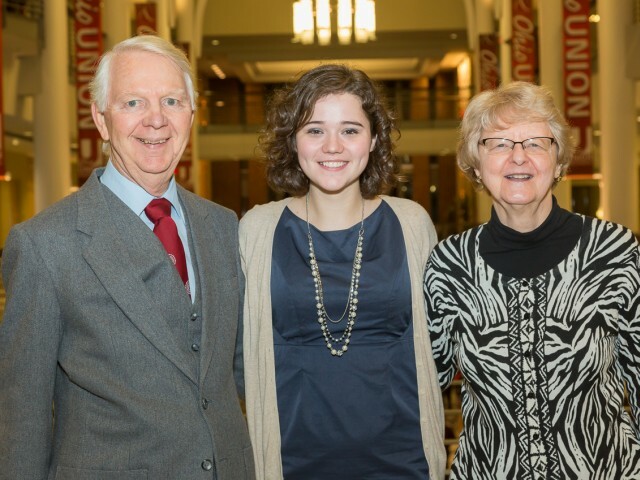 Creating a setting that could be described as "rustic elegance," CFAES celebrated excellence and opportunity at its 2013 Fall Scholarship Dinner Nov. 6. About 250 guests, including scholarship donors, their recipients, and CFAES faculty and staff, were welcomed to the Ohio Union's Archie Griffin Ballroom in Columbus. They found a stage that had been transformed into a fall forest as the college recognized the excellence of its outstanding scholars and the opportunities afforded them through the generosity of donors. Read the full story here. Check out the photo gallery here.